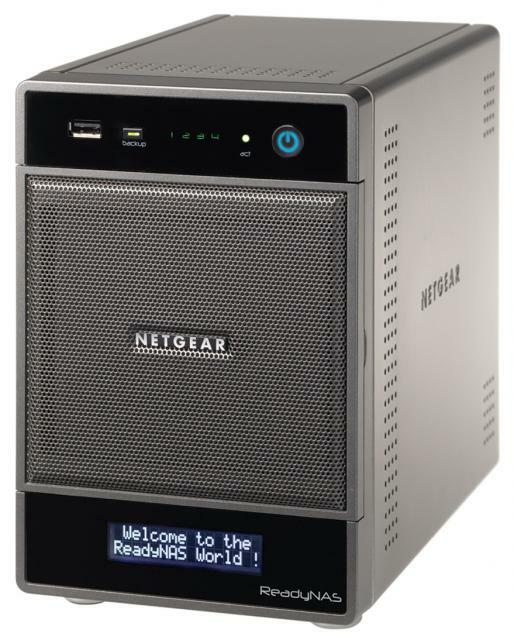 The Netgear ReadyNAS is a family of premium DLNA media server network-attached storage (NAS) systems that can form the basis of a Smart Home media delivery system. The ReadyNAS Ultra 4 is a solidly built quality four hard drive bay hot swap cabinet providing standard configurations of Diskless or 4TB (*or more with you own drives) of straight storage or 2TB * in the recommended (fully redundant) RAID 1 or alternate RAID level storage configuration providing single drive failure protection for your precious photos, music or slow to recreate or rip video media files. The ReadyNAS Ultra 4 home (DLNA certified) DLNA media servers are a great size for lounge room media rooms and best suited to with new or moderate but growing digital media libraries. These also make good storage systems for IP camera surveillance systems using PC based DVR software many quality cameras come with.